The long anticipated TWRP Recovery file for Tecno Phantom 5 is now available with no bugs’ issue. However, rooting can be possible and flashing of custom roms can be easily executed via recovery mode. Months back (as of the time of publishing this article), an XDA developer ported CWM recovery for Tecno Phantom 5, although it wasn’t tested, but he assured us that it will work fine. Most of my readers testing it complained of bug issues so we decided to provide you guys with the TWRP Recovery file which was ported by Team Hovatek. 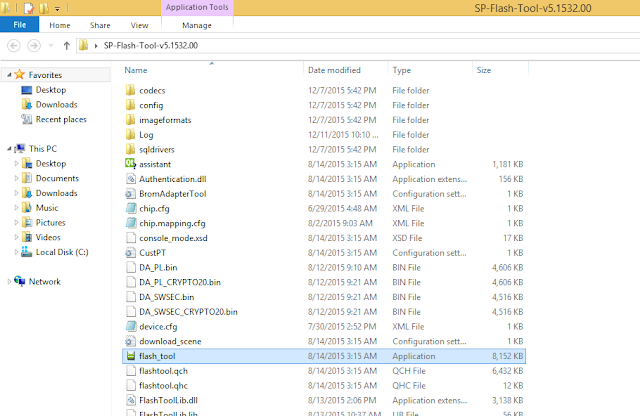 In this guide, I would brief you guys on how to install TWRP Recovery on Tecno Phantom 5 using SP flash tools and then rooting follows. Step 1: First download the recovery zip file from here, and then extract the “Recovery.img” and “MT6753_Android_Scatter.txt” file to the desktop screen of your computer or create a folder and extract to it, as seen in the image below. That’s it. TWRP Recovery is now installed on your Tecno Phantom 5, to boot to recovery mode, simply press and hold Volume Down button + press Power button. Step 1: Firstly, download the SuperSU file from here, and move the downloaded files to the internal storage of your Tecno Phantom 5 device. That’s it. Your Tecno Phantom 5 would be rooted successfully. To verify root access, simply download root checker and confirm if your device has gained root access.